A nice interplay between veal and tuna sauce! Situated in the vicinity of the rich with landed properties in all directions is La Nonna (lit. grandmother), a restaurant serving Italian cuisine. 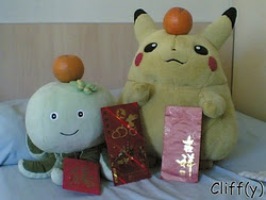 The first outlet, which I went to, opened its doors in November 2006. It has since levelled up to include another outlet at Holland Village. 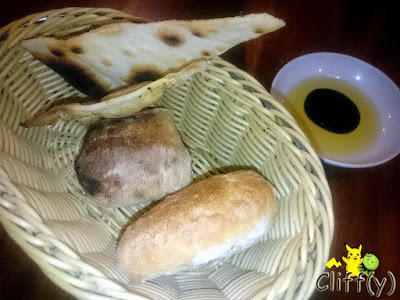 A basket of bread, together with a saucer of olive oil and balsamic vinegar, was promptly served after I finished making my orders. They were good, in particular the thin, crispy kind of pastry. 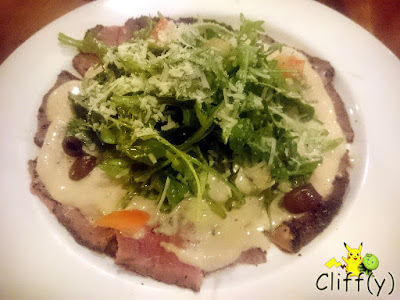 Quite a sight to behold, the roasted veal loin slices topped with rucola salad and cheese truly whetted my appetite. While the red meat was tender, what made it special was the creamy and velvety tuna sauce that emanated a heady aroma of the fish. 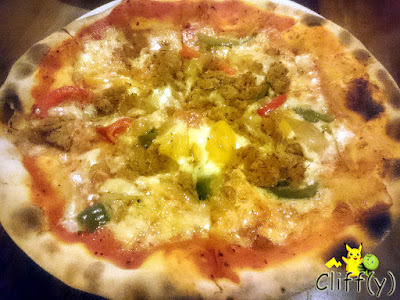 From the selection of wood-fired pizzas, I decided on something not as commonly seen as the rest. Topped with tomato sauce, mozzarella, sauteéd crab with garlic, onions and bell peppers. It turned out to be nothing extraordinary, but tasty enough with a good sweet and salty balance. 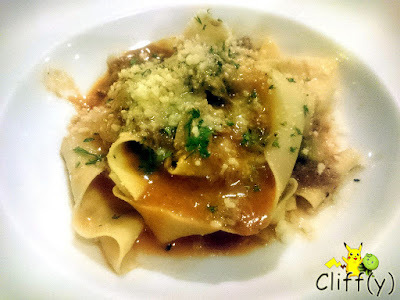 Said to be a relatively new main course on the menu, the broad, flat pasta came with braised duck confit and mushrooms. I have to say that the texture was akin to that of ban mian (lit. board noodle) typically found in hawker centres. The taste was pretty much one-dimensional, and there wasn't enough duck meat. 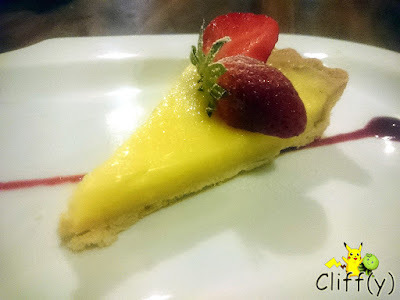 From my observation thus far, lemon tart seems to have always been a prized Italian granny's recipe. The custard made of fresh lemons and ricotta cheese had a nice texture that was neither overly soft nor too firm, while the tart itself could be more crumbly and buttery. While service was prompt, I couldn't really stand a male staff who kept asking us to order more food. Hello, one appetiser, two main courses and a tart to share for two were enough. He should totally learn from the polite female staff on duty that day. 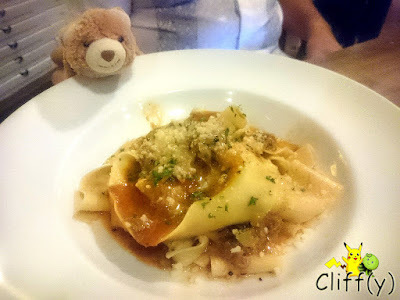 Pika's advice: For those who're interested, do check out their 3-Course Set Lunch priced at $26.00. Okinawa and Hong Kong (Again), Here We Go!